This is an excellent and simple fry recipe we gleaned from Serious Eats. No adaptation, other than we gave it flavor with an organic salt from the Treatmo marketplace that has amazing flavor and nutritional elements to give your food more health value. Cover the potatoes with oil, then turn the heat on high until brown. We used our favorite oil, Colorado Mills Sunflower Oil. These fries are great vehicles for amazing sauces like Lesedi farms Peri Peri and Marula Mango. Their all natural and organic, high quality sauces are farmers market regulars in Washington State. Tap into the goodness on Treatmo. Use a slotted spoon to transfer to a bowl lined with paper towel to remove excess oil. First try, overcooked just a tad. Watch until they brown. With this technique of cold boil they will cook from the inside out. You'll get a perfectly cooked fry. Beautiful, simple fries for when you get that craving. Recipe on treatmo #sunfloweroil and @terrebotanicals Botanicals #allspice pepper melange organic salt. Kick it up! #memorialdayweekend #fries #frenchfries #hack #recipe #homemade #foodlover #organic #salt #cooking #vegan #plantbased #arizonamade #swishswish #scottsdale #chef #simplerecipe #yum #terrebotanicals #treatmore #treatmo 🍃🍃🍃 Eat the good stuff! For the seasoning we use a favorite-Terre Botanicals. Their organic herb infused salts and sugars are incredible additions to your pantry. Higher impact food has higher nutrition and is better for you. Their Allspice Pepper Melange brings great dynamic flavor to food. 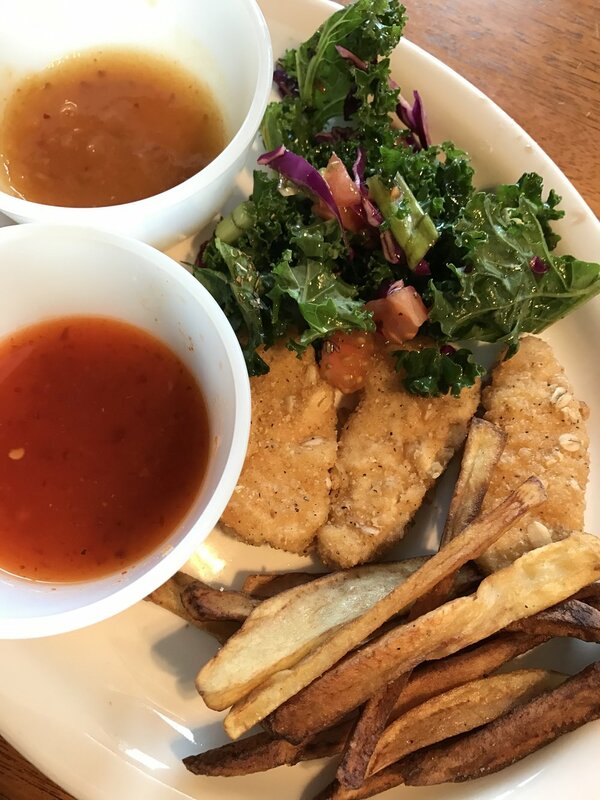 Check out those Gardein Chicken Fingers -- they are grub! Authentic, organic and delicious. Get Treatmo app for Lesedi Farm on tap. 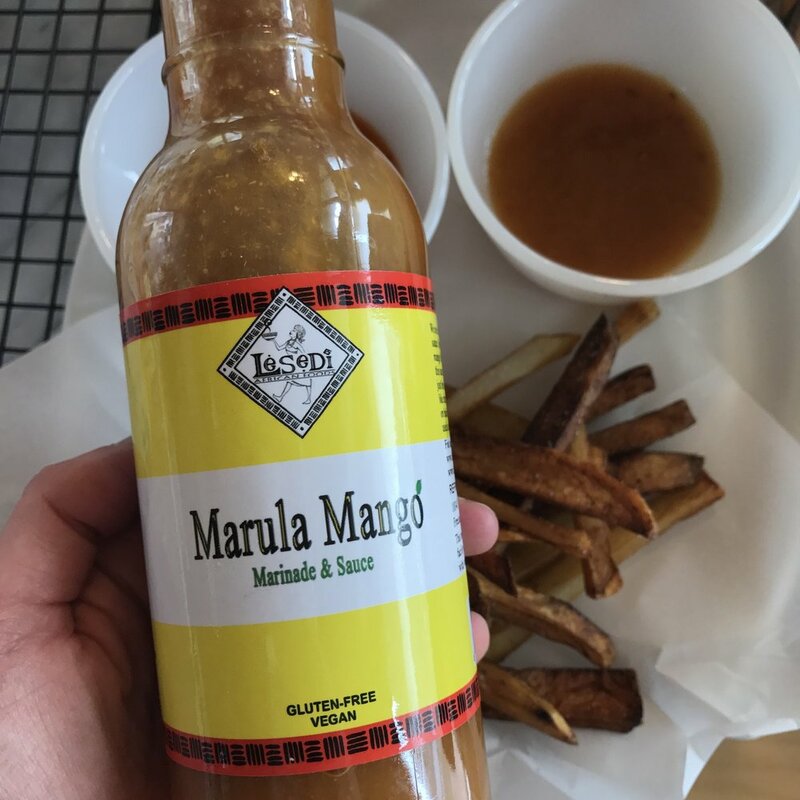 A spicy and smoky mango sauce, great for dipping, all natural and organic. Shop tastier healthy food on Treatmo in a tap. Order and gift food that appears at farmers markets across the U.S. Get the iOS app.